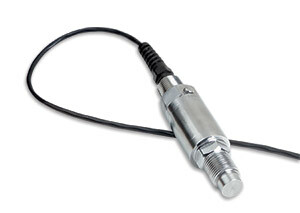 OMEGA's PXM44 is a high accuracy, current output, industrial pressure transmitter with a high-pressure flush diaphragm for use with industrial fluids and slurries. It's hermetically sealed, all stainless steel construction makes it suitable for the harshest environments. Ten feet of two-conductor shielded cable is standard, with a second ½ NPT fitting on the body for conduit installation. Pressure ranges from 0 to 40 up to 0 to 350 bar are available to cover most industrial applications. The PXM42 is also available in standard/Imperial configurations, with ½ NPT port, and models from 0-500 to 0-5000 psi pressure ranges. Please see the PX42 for complete details, or contact our Pressure department for more information..
注: To Order Sealed Gauge replace "G" in model number with an "S". To Order Absolute replace "G" in model number with an "A". To order with a DIN connector, change E0 to E6 in model number, no exta charge.